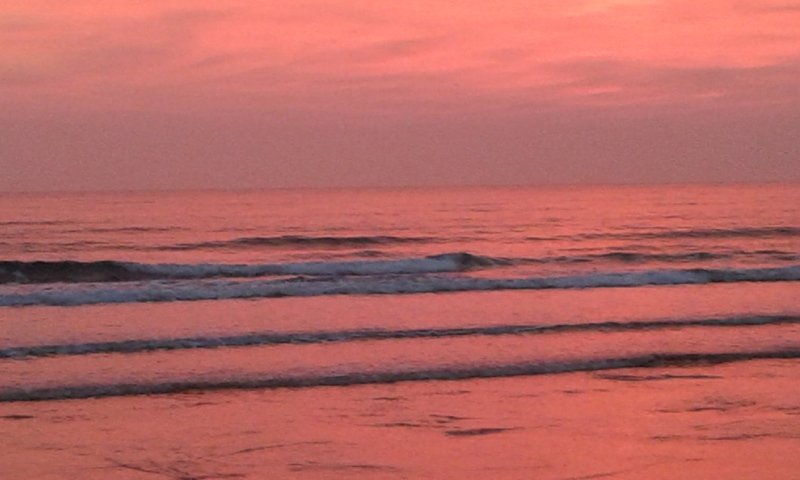 Being on the beach this morning was like rolling in a bowl of strawberry mousse. We stood and enjoyed the all-encompassing glow but, within 15 minutes, everything changed irrevocably and the forecast dullness, and then the rain, set in. What a lesson in seizing the moment! Such peace and warm stillness: now look out the window and see what Autumn is up to! Mr Pip thanks for sharing and stopping by my blog as well. Love beach shots in the morning as much as you do. Yes, while yesterday we ran in the dark and murk of a foggy morn, today there was a crescent moon and the morning star in a cloudless sky. Joy!